* If you need it, buy before "Inflation hits"
All Cars, Trucks, Antiques, & Years too! Not Aftermarket Equivalents, or Generics, like some others found online.. Many Brands at low prices! Call us for a discount on all Riderstation.com Products! a Custom Painter & Shop! Custom Motorcycle Painter & Shop Directory! Will fit nearly any make or model motorcycle. 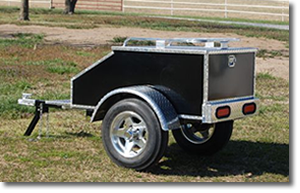 Optional front and side extensions fit choppers, ATVs, mowers, or golf carts. Order Color & Clear - HERE! Post picture of your bike here free! * How much product do I need? Add a picture of your Bike To our Data Base! FAST! 2 oz. Touch-up Order! For over 11 years, we have supplied new, older & vintage motorcycle paint colors, when they could not be found anywhere else! Yes!..... We have your color! Don't worry, more than 1/2 of our Customers order paint from us without the paint code. Just order with the year, make and model and describe your color. Tell us if it is Light, Medium or Dark, and let us know if it is a Solid color, or has Metallic or Pearl in it. We will take it from there! bike's color code information only! is available at this order line! * Have your credit card ready..
* Due to Hazardous Shipping regulations. We now ship, only to the lower 48 states! Just want the Color Code information? e-mail Color Questions, to purchase paint use the form below. 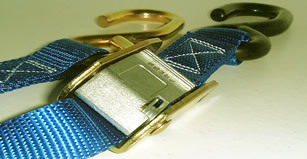 * We will email you a buy button to allow easy - 1 click purchase!. #7 * We are the only place online. Click here,for shipping directions on how to send us a fender, side cover, or part from your motorcycle, to make a formula for your bike's Color. Find out how to get 10% off your 2 oz. Touch up bottle, $5.00 off your pint, and $10.00 off Quart when you order, Click here! that are not yet listed. Done by MNK Custom Works. They can paint your bike too! "How to Paint a Motorcycle"
Need to bring more stuff? Click on Photo for specifications, details & Pricing! Call for information and to order! Motorcycle Hidden Ball and Hitch! We Can Supply Hitches for Most Motorcycle Manufacturers! Learn! Have Fun & Save Money! Tired of waiting at a Traffic light that just won't change? Click on image for Discounts! See how to get free, with carrier order! 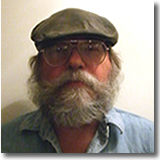 $20 to Sponsor and have "Your Name" on the Royal Enfield Speed Attempt at Bonneville Salt Flats. * If you find our site helpful, please add a link, about us, on your favorite Web site or Forum! With Google Custom Search Below! 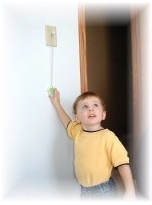 Light switch extension for Kids! Our colors are matched to OEM paint codes & colors for restoring or repainting of damaged or replacement parts, fairing, tanks, fenders, etc. "Best Color Match", UPS shipping, and a lot of technical information about painting your bike. If you are looking for custom colors, Urethane, or information on how to paint a motorcycle, snowmobile, ATV, Boat, Kawasaki, Honda, Yamaha, Suzuki, Ducati, Moto Guzzi, Triumph, Harley-Davidson, Aprilia, Benelli, BMW, Norton, Malaguti, we have it. If you need something and we do not have it, let us know and we will try to put it on this web site. We appreciate your business. Please pass along information about our web site to your friends.